Like all accidents, pedestrian accidents happen when you least expect them. Although Nova Scotia is a beautiful and safe province, it is not without its share of accidents, especially in metropolitan areas like Halifax. 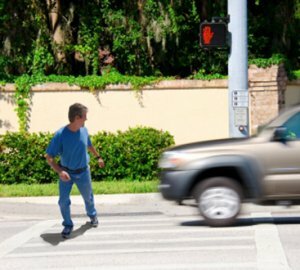 Pedestrian accidents can be fatal whether immediately or a time after the accident. Survivors, after being struck by an oncoming vehicle can do serious, and in cases, permanent damage to the body. The damage done to you in an accident can be taxing in the long-term. This can result in large medical bills, loss of income as well as damaged property. Many things have to be considered in terms of what you are responsible for and what the insurance company is responsible for. While you don’t always need a lawyer for all types of accidents, you should consider consulting a personal injury lawyer if you have been struck by a car any other form of motor vehicle. One of the most difficult parts of the law, including personal injury law, is educating the public. That’s because it is important that people understand that they may be entitled to more compensation after an accident than they are led to believe from discussions with the insurance companies or others. These are the more typical situations where our clients have been injured and are entitled to pursue a claim for compensation for injury and damages.